I would like to express my profound gratitude and appreciation to Taiwan Institute of Sustainable Energy (TAISE), Chairman Dr. Eugene Chien, my colleagues and my industrial supervisors. 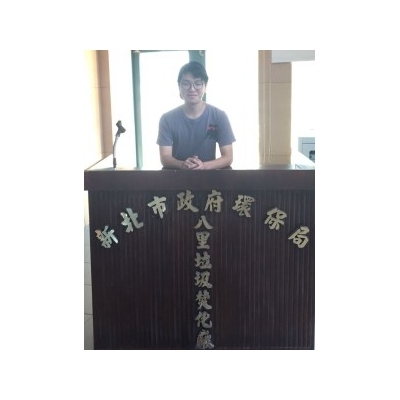 Their exemplary guidance, warm encouragement and attentive monitoring throughout the internship enable me to gain priceless experience and fresh insight, particularly on and into the environment and sustainable development projects in Taiwan. TAISE’ s duty is just like a bridge, linking and connecting different stakeholders together to create a sustainable future in Taiwan. Professional trainings and workshops were frequently provided to promote sustainable management to citizens and enterprises. As a multi-faced platform, TAISE completed its goal effectively, yet still evolving and improving at the same time. As a student who has been studying environmental and sustainable development for 3 years, it seemed that I had forgotten sustainable development also involved the participation of economy and society equally. Needless to say, environmental engineering or environmental science are just the tip of an iceberg regarding sustainable development, this trip offered me the valuable chances to take a glance at the whole picture in Taiwan. Throughout the internship, I endeavoured to provide assistance in the daily operation of TAISE, Centre for Corporate Sustainability (CCS) and CTCI Education Foundation (CTCI EF)－and the 2018 projects－including Taiwan Corporate Sustainability Awards (TCSA) 2018, Global Corporate Sustainability Forums (GCSF) 2018 and more. Site visits to environmental protection facilities and green corporations were, meanwhile, arranged for the intern by the industrial supervisor, Dr. Wang. Being expected to have a deeper understanding on Taiwan’s sustainable development status, I was encouraged to make reflections on and comparison with Hong Kong’s current situations. In these two months, I am glad to be part of it as a rookie, started my learning from the bottom and tried my best to help in operation. This trip showed me invaluable working experience and the accurate circumstances of Taiwan sustainable development, especially the work in Corporate Social Responsibility.